Movie Treasures By Brenda: Where Is Disneynature's The Crimson Wing? rel="nofollow"
Where Is Disneynature's The Crimson Wing? rel="nofollow"
Disneynature's The Crimson Wing looks like a magnificent film about the life cycle of the beautiful pink flamingo. 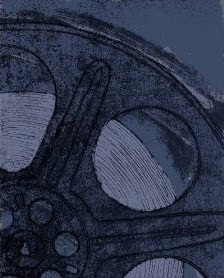 However, North Americans continue to wait for their chance to view this film. I expect it must have been released in Europe first because it was a joint British/French/America project. It has been out for a while though, as it premiered in 2008 in France, and it has since opened in the United Kingdom and Italy. That leaves us waiting...unless you want to order an imported region-free blu-ray copy of The Crimson Wing from Amazon which is possible by clicking right here. However, if you choose to do so it looks like you will still be waiting...check the delivery timeframe…and you will have to pay a premium since imported media is always more expensive. It does sound like a beautiful film, with an important environmental issue as the breeding ground of millions of flamingos in Northern Tanzania is considered threatened. Hopefully, this movie can help get that message out. 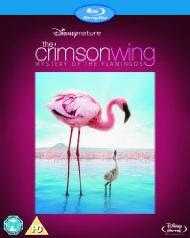 To read my page with more information about Disneynature's The Crimson Wing, you can click right here. There, amongst other information, you will find three video trailers which demonstrate the awesome beauty of this film and of the majestic, mysterious pink flamingo. Disneynature's The Crimson Wing Flamingo Nature Documentary Movie. Order your copy of The Crimson Wing from Amazon.